lies at the foot of the rugged Tramuntana Mountains this oasis of tranquility, natural beauty and fun. A small paradise, situated on the beautiful island of Mallorca. Everything that can make your holiday the best ever, can be found here on this island. Beautiful beaches, culture, wild nature, adventure, a very diverse cuisine and a vibrant nightlife. "El Jardin del Eden"offers more. A large swimming pool provides the necessary cooling in the hot summer months. Around it lies a spacious terrace with loungers, where you can enjoy the sun all day. And for those who prefer some shade...enjoy your private shady corner. Depending on the season and the weather, breakfast and other meals are enjoyed in our lovely dining room, or on our outside terrace. More about this under: Food and Drinks . If the evening is a Little too cold to sit outside, for example during spring or autumn, you can enjoy your drink in one of our lounges, in front of a cozy fireplace. Our gardens and orange groves offer plenty of space to freely move around. it is also possible to book the whole B & B for a certain period. This way you actually rent a private villa with your private service. without having to cook, to clean or to do crocery shopping yourself. Perfect! More information can be found under: Our Rooms in the main menu. 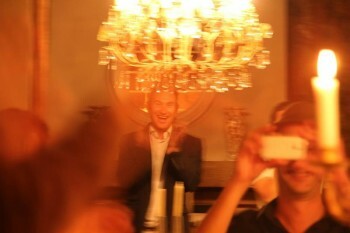 Also you found the right place for your custome fit party´s or weddings. Also this coming season, during the months February, March and April we will focus on cycling tourism and walking tourism. In recent years cycling and walking became more and more popular in Mallorca. special meals on requested hours - daily washing of cycling gear - safe parking of bicycles - pick-up from and delivery of bicycles at our own location - transport from and to starting points of hiking trails - professional sports massages. 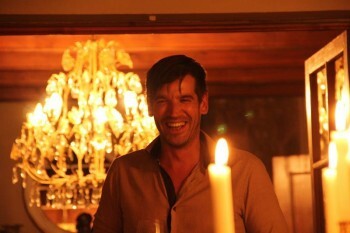 We fun guys ... Jean Paul Voorneveld and Ingmar Loof, are accustomed to perfectly pampering all of our guests . Everyone is welcome and special requests can always be discussed with us. We are always there to inform you about everything you need to know about this beautiful island. Are you looking for just that little bit extra during your holiday then you have come to the right place. just to make sure that we will see you again in the future.